It is not something that anyone wishes to happen but in the heat of battle, things happen. People jump up in front of someone else who is firing, a grenade is badly tossed and lands next to a friend rather than in the enemy foxhole, etc. 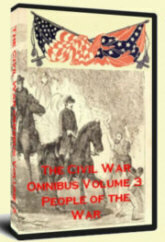 The American Civil War had its share of friendly fire incidents and in fact five Civil War generals were killed by friendly fire during some of the most ferocious battles of the war. In no particular order, here are the five Civil War generals killed by friendly fire. General Jesse Reno was a Union general and was killed in the Battle of South Mountain. General Thomas Williams was a Union general and was killed in the Battle of Baton Rouge. General Thomas J. “Stonewall” Jackson was a Confederate general and was killed in the Battle of Chancellorsville. General Albert Sidney Johnson was a Confederate general and was killed in the Battle of Shiloh. 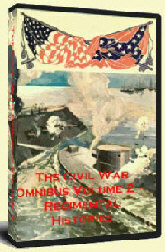 General Micah Jenkins was a Confederate general and was killed in the Battle of Wilderness. 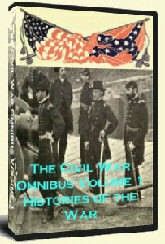 For full biographies on these and other Civil War generals, refer to the Wikipedia lists of Confederate generals and Union generals. This entry was posted on Wednesday, October 13th, 2010 at 2:39 pm	and is filed under Civil War Battles, Civil War People. You can follow any responses to this entry through the RSS 2.0 feed. Both comments and pings are currently closed.